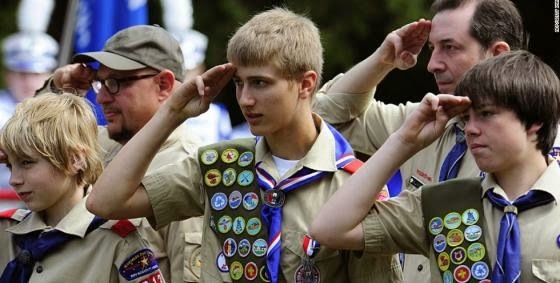 Last Thursday Robert Gates, President of the Boy Scouts of America announced that the group's ban on adult gay leaders cannot be sustained. It is widely seen as a move that could open the door to ending the policy. In the interim, Gates said, at a national meeting of the group, that he does not plan to revoke the charters of Boy Scout councils that allow gay leaders. Dr. Gates has seen this movie before. 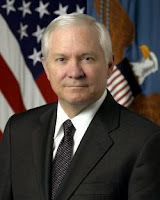 As United States Secretary of Defense Gates (a conservative Republican) was responsible for the implementation of the repeal of Don't-Ask-Don't-Tell. According to Gates, the Armed Forces would have to certify to Congress that there was no adverse effect on “military readiness, military effectiveness, unit cohesion, and recruiting and retention.” Three weeks after Gates left office, the Act of Congress was certified and 60 days thereafter, on September 20, 2011, the repeal was finalized. All just as Robert Gates had planned for well over a year and in spite of the chorus from the right wing Christian Sisters of Perpetual Doom. Homosexuality and child molestation mythology. Dr. Herek makes the point that, according to the research, most child molesters have not formed an adult sexual orientation. In other words, it is highly unlikely that an openly gay man (having formed an adult sexual orientation) is going to be a child molester. 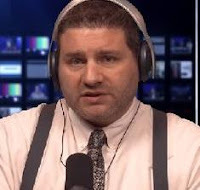 As an expert panel of researchers convened by the National Academy of Sciences noted in a 1993 report: "The distinction between homosexual and heterosexual child molesters relies on the premise that male molesters of male victims are homosexual in orientation. Most molesters of boys do not report sexual interest in adult men, however." This is an issue that was settled 20 years ago. Yet it persists. It persist because it is a means of demonizing gay people. Neither Gates' experience nor the science seem to deter the religious right from the rankest bigotry. It is worth remembering that the same Christian leaders predicted that the repeal of DADT would materially degrade our Armed Forces. Four years later, none of the end-of-world scenarios seem to have materialized. Trail Life USA is saddened by the announcement regarding the anticipated membership change in Boy Scouts of America, as many families and boys will be negatively affected by this departure from their own long-standing principles. It is tragic that the BSA is willing to risk the safety and security of its boys because of peer pressure from activists groups. Here we have a right winger who is unafraid to call a progressive minority group that he disapproves of “fascists.” Barber is amazing. Perhaps Mr. Barber has some perverse fantasies. Can I assume that he is attracted to teenage boys — a predilection that he is projecting on the entire gay male community? Seriously, Barber's bigotry depicts someone who is terribly insecure about his own sexuality. The connection between homosexual abuse and “gay identity” is undeniable. Although clearly not all “gay”-identified men and women abuse children, or were abused as children, the verifiable reality is that an alarmingly high percentage of them do and were. As with most forms of abuse, the cycle is both circular and vicious. “Born that way?” Not so much. “Made that way?” Sadly, it appears so. I don't know why the word gay is in quotation marks except to observe that Mr. Barber loves to use defensive quotes. In point of fact the notion that gay men are attracted to boys is most certainly deniable (explained above) as conservative Christian mythology. Moreover, there is absolutely no connection between child abuse and sexual orientation. That, too, is a popular – although unsupportable – theme in right wing Christian circles. Robert Gates, shame on you for not having the moral courage to do what is right. … What are you thinking? We shouldn’t shift as the winds of cultural change blow through society; we need to stand for God’s truth and things that are morally right. This move is bending to LGBT activist groups and would put young, innocent boys at risk. I encourage every former Boy Scout and every parent involved in the Boy Scouts to let Robert Gates know how displeased you are and that if he leads the organization down this road, they may lose your support, your participation--and your sons. Shame on Graham for resorting to an unfounded gay smear that gays pose a threat to children. It doesn't have to be true to repeat it. Graham really doesn't care whether it is true or not. History will not be kind to Mr. Graham. He will continue to be known only for being the son of Billy who, by the way, is an anti-Semitic, homophobic jerk. Many conservative Christian leaders obsess over anything that “normalizes homosexuality” because of what they believe is a biblical prohibition. They want to keep as many gay people in the closet as possible. 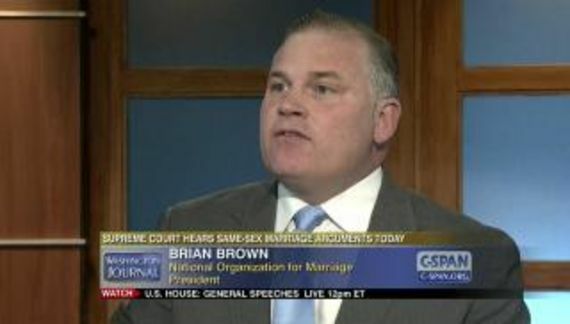 Portraying gay people as a predatory threat to children has been an effective strategy of fear since before Anita Bryant's tirades in the 70's. That didn't work in the long run and the result is that Americans have come to know that they have gay family, friends, neighbors and coworkers. It is part of Harvey Milk's legacy that so many LGBT citizens have come out. Nevertheless, these fundamentalist Christians are determined to have public and social policies that are consistent with their religious beliefs. Ultimately they want America to look more like Iran except for the state religion being Christianity in contrast to Islam.